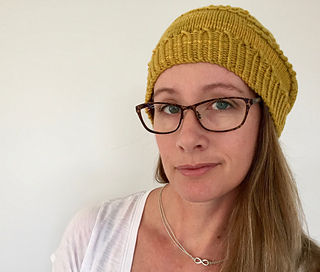 Twisted ribbing, eyelet detailing and tiny bobbles all feature in this sweet hat. Quick to knit and cosy to wear, Sippings will keep the breezes at bay while you enjoy your cuppa. Sippings has a stretchy nature that will fit a wide range of heads. Depth is easily customised to your preferences. Sample shown in Augustbird Bowerbird ‘Alabaster’. Sample used 155 metres/ 170 yards. Model’s head measures 57cm/22½”. Sippings has been professionally tech. edited and test knitted. 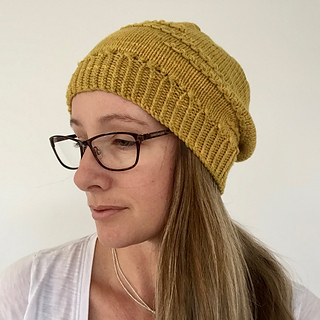 ~ Rebecca has re-stocked her lovely hand-dyed Bowerbird yarn at the Augustbird website especially for this pattern release! ~ White Gum Wool 8ply is available at the White Gum Wool yarn and fibre shop, with worldwide shipping.